Rice Krispie Treat Chicks - A Fun & Easy Easter Treat Your Kids Will Love! April 1, 2017 By This post may contain affiliate links. 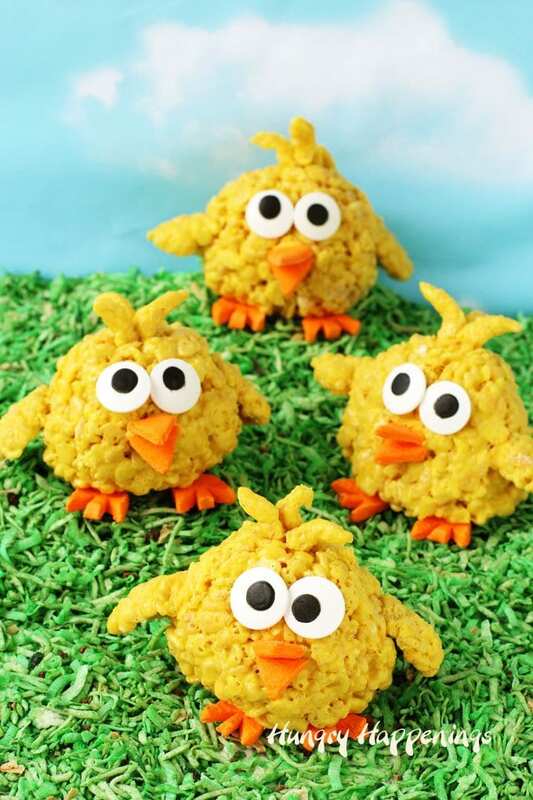 Have some fun with a simple cereal treat recipe this Easter by shaping and decorating them to look like bright yellow Rice Krispie Treat Chicks. In no time at all you can bring life to a whole clutch of these adorable baby chicks. 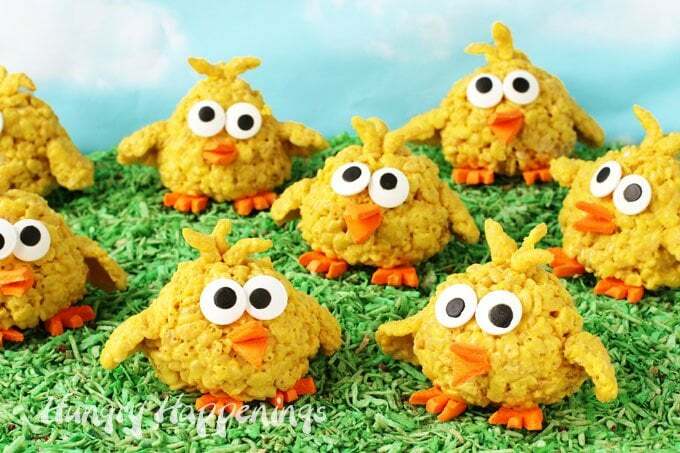 Bright yellow rice krispies treats are transformed into adorable little baby chicks for Easter with cereal treat wings and feathers and orange circus peanut feet and beaks and big candy eyes. Don’t you just love baby chicks? It’s hard not to. They really could not be any cuter with their fluffy feathered bodies and skinny little bird feet. 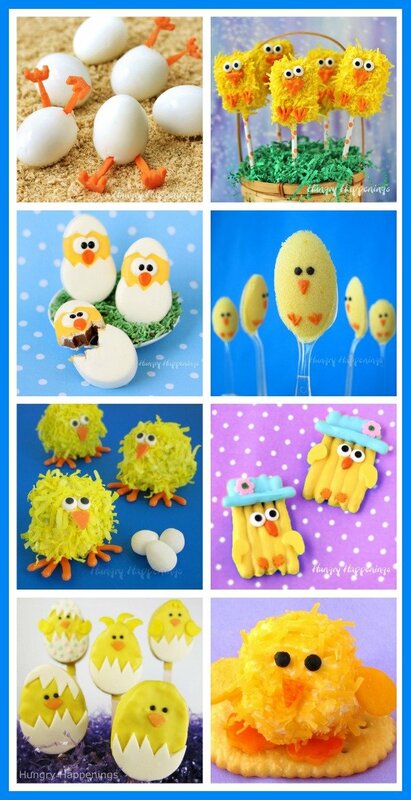 I love that at Easter I get to create all sorts of different types of baby chick treats. Over the years I have shared over a dozen different treats shaped like a chick. 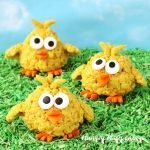 My very first Easter post here on Hungry Happenings was for Hatching Chicks Rice Krispies Treats. 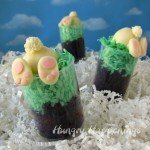 I used store bought rice krispies treats to make them and decorated them using modeling chocolate (candy clay). 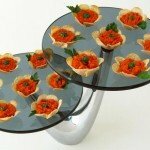 They were really cute and I was so excited to share them on my new blog. This time around, six years later, I am equally as excited because these new chicks were so much fun to make. I used homemade rice krispie treats that I rolled into balls then I added wings and head feathers which I made also using the cereal treat mixture. I added cut orange circus peanuts to make the feet and beaks and added big candy eyes to make them my rice krispie treat chicks just a bit quirky looking. 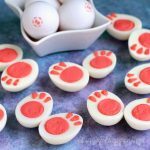 I liked using circus peanuts to make the feet and beak because they are easy to bite into and the marshmallow flavor blends well with the cereal treats. 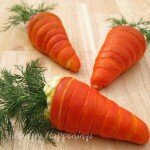 You can find the circus peanuts at a lot of drug stores or grocery stores in their candy aisle, but if you can’t find them, the next best alternative, in my opinion, would be to use candy clay. 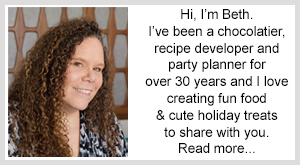 You can find the recipe for candy clay on my Chocolate Making Tips page or in my new book, Candy Clay Creations. Another alternative would be to use some orange taffy type candy, like Starburst, salt water taffy, or Orange Tootsie Rolls. If you follow me here on Hungry Happenings you know I can’t resist setting my treats up in a somewhat realistic looking setting. I put these chicks in front of a piece of blue sky paper and set them on green colored coconut grass. 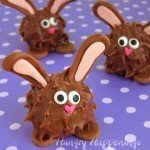 Watch the video to see how you can make these treats yourself. I even show you how I created the backdrop for my pictures. To make these Rice Krispies Treat Chicks you’ll need the following items you can find on Amazon (commission earned for sales). Combine marshmallows, 6 ounces yellow candy melts, and butter in a large microwave safe bowl. Heat for another 45-60 seconds until melted. Add a few drops of yellow food coloring and stir until well blended. Stir in the Rice Krispies Cereal. Scoop and roll 9 balls using about 1/2 cup cereal treat in each ball. Reserve about 3/4 cup for the wings and feathers. Pinch off teaspoon size pieces of the cereal treat and shape into tear drop shaped wings and immediately attach two, one on either side of a ball. If they don't stick well, then use melted candy melts to attach them. Roll the remaining cereal treat mixture into thin logs. Pinch off three short pieces and stick them to the tops of each rice krispie treat chick forming 3 feathers. Cut the circus peanuts into 8 equal size slices. Cut 18 slices into triangles to form the beaks. Cut 18 slices into chicken feet. Melt the remaining 2 ounces of yellow candy melts. 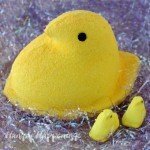 Use the candy melts to attach two candy eyes, two circus peanut feet and beak to each chick.